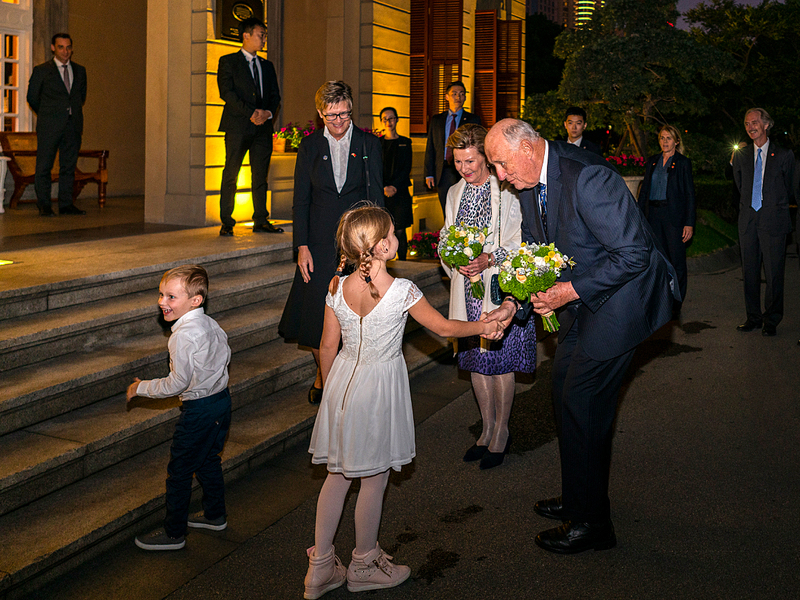 Their Majesties The King and Queen left Beijing today and travelled to Shanghai, on the east coast of the People’s Republic of China. Shanghai is the country’s largest port city and a booming economic centre. 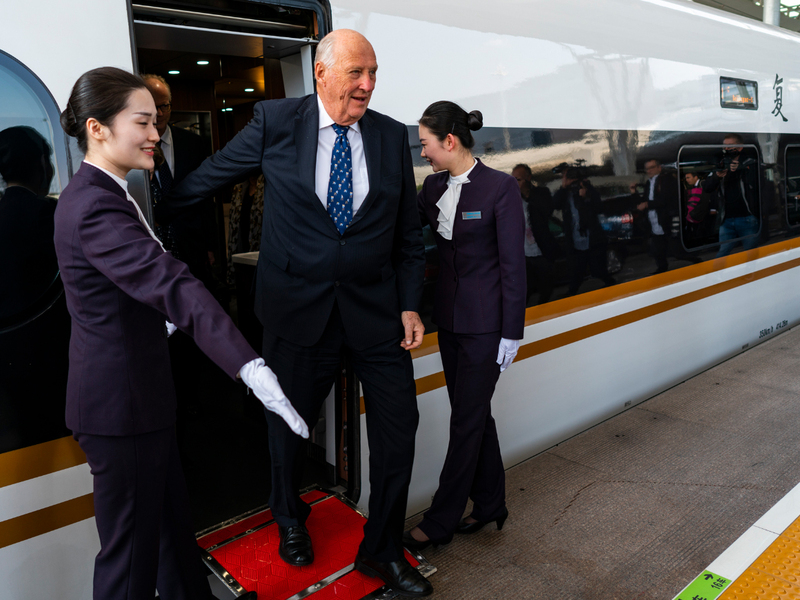 The King and Queen took the Transrapid train into Shanghai this afternoon local time. First on their programme was a meeting with the city’s Norwegian community. Since the mid-1800s, Shanghai has played an important role in Norwegian trade and shipping activities in this part of the world. 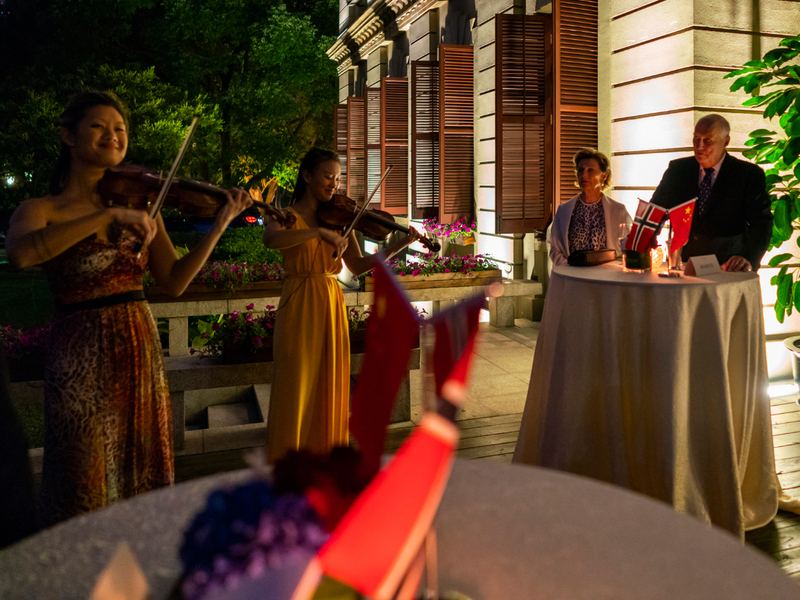 The Royal Norwegian Consulate in Shanghai was established in 1906 as one of the very first diplomatic missions opened after the dissolution of the union with Sweden in 1905. Today, 300 to 400 Norwegians live in the Shanghai area. Many are still involved with shipping, but other business activities are also well represented, in addition to academia, art and culture. There is also a large number of Norwegian students at institutions in this area. 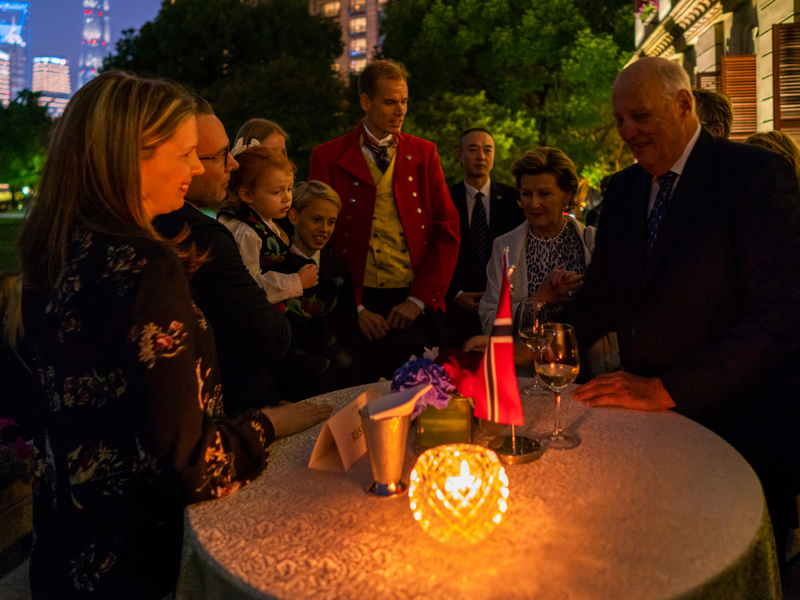 The King and Queen had the opportunity to meet many of the Norwegians who have settled in the Shanghai area along with their families. 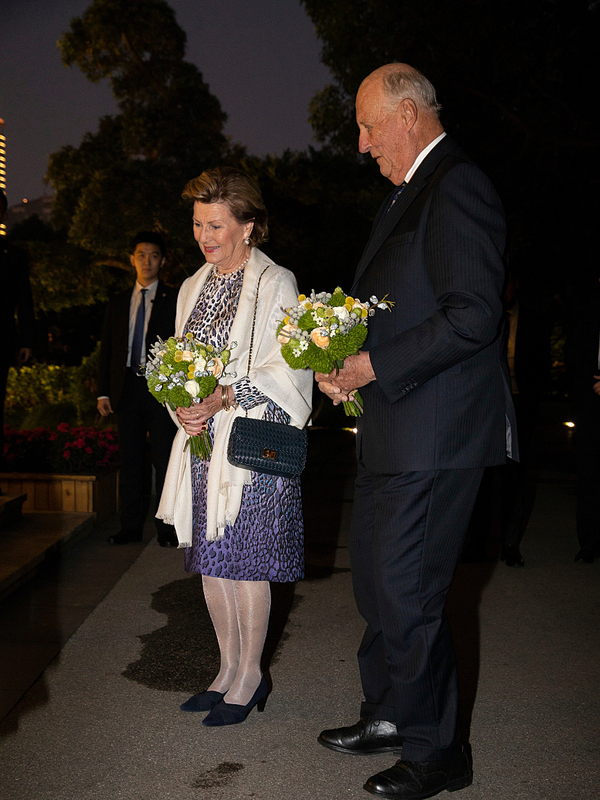 King Harald and Queen Sonja also had a meeting with local government officials today. 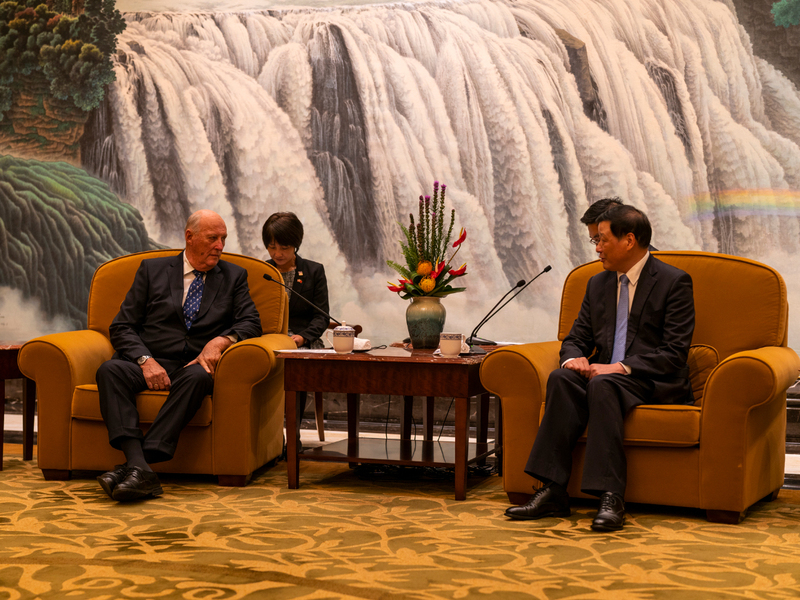 Talks with Mayor of Shanghai Ying Yong and Party Secretary Li Qiang were followed by an official dinner at Xing Guo Hotel. 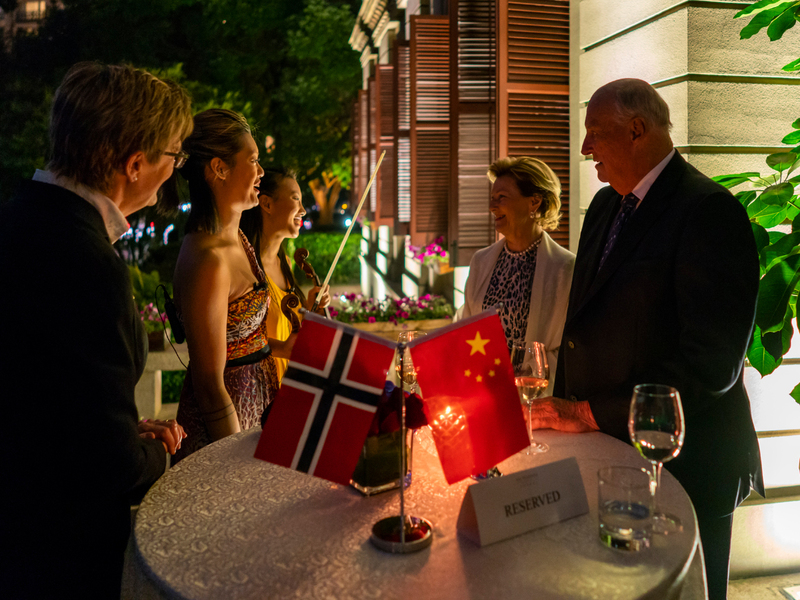 The ocean and the shipping industry are at the core of the Norwegian presence in Shanghai and have remained a key focus for over 150 years. Over time the network of contacts between the two countries has expanded, but tomorrow the ocean will once again dominate the programme. The King and Queen will be taking part in “Ocean Day”, which will combine business, food and the environment – all with the ocean as a common denominator.